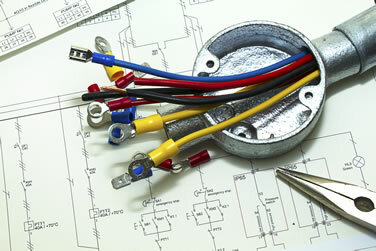 WB Electrical are experienced commercial electrical installers. We have an excellent reputation with our clients for providing a reliable, cost-effective, safe and high quality service. Our experienced team of electrical contractors are not just limited to domestic services and are able to undertake a wide range of commercial installation projects, from a small shop to a large scale warehouse and factory premises and we are confident that we will be able to offer a service that meets all electrical needs. We have successfully delivered many projects on-time and on-budget. If you have a big project planned then please don't hesitate to contact us to see how we can help. Before you get any electrical work done, you need to make sure that the electrical contractor is qualified for the job. All of WB Electrical Electricians are fully NICEIC approved and qualified. Not using a qualified contractor can result in your insurance being invalid..